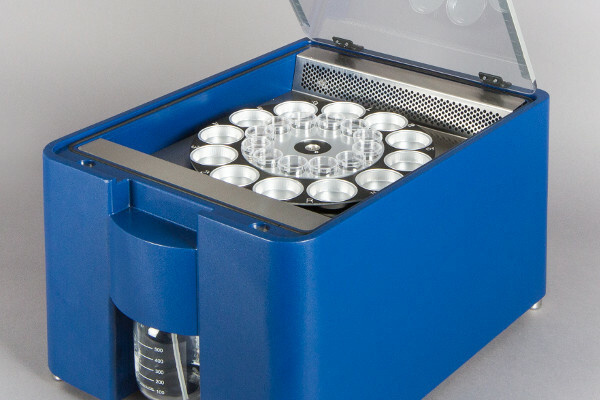 With the combination of proven and reliable components and an advanced design, the Vsorp covers the requirements of a state-of-the-art multisample instrument: An easy to operate moisture sorption analyser for high sample throughput in research, development, quality assurance and material testing. 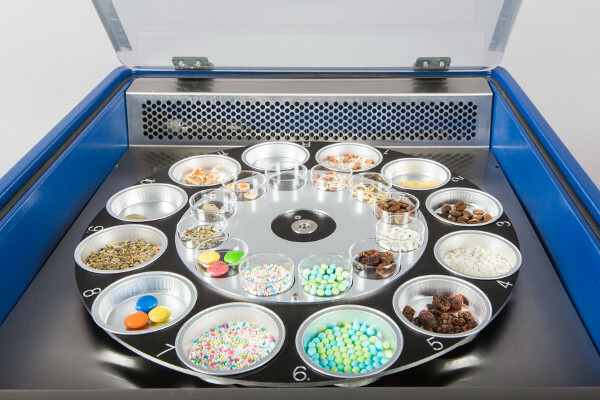 The majority of measurements in typical application areas like food research or determination of sorption properties of chemical substances is done at and around room temperature. In many cases it is sufficient to determine the sorption isotherm at room temperature and some further temperatures close to room conditions. Very often, it is not required to measure at very high or low temperatures. The moisture sorption analyser Vsorp is therefore designed for best performance and stability in the temperature rangee from 15°C to 40°C. 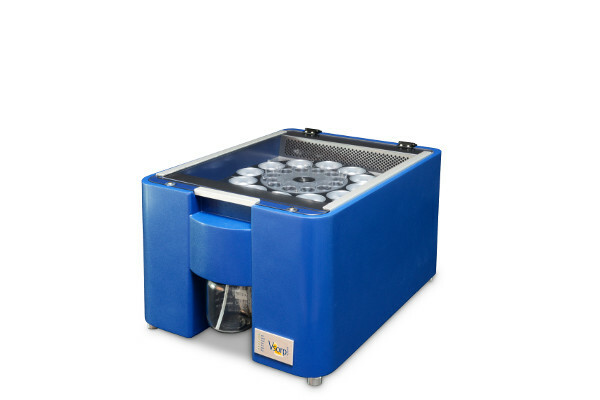 The requirements for the precision and resolution of the balance as well as the required balance load range are set by the size, mass and expected water uptake of the samples to be analysed. Small amounts of powder with low sorption capability require a high resolution and excellent repeatability for the acquisition of high value measurement data. 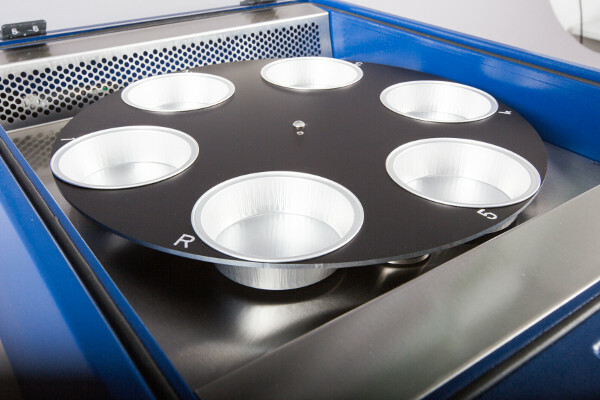 For large, bulky and heavy samples, a balance with a high load range is required. For some applications a combination of an extended load range and high resolution is required. 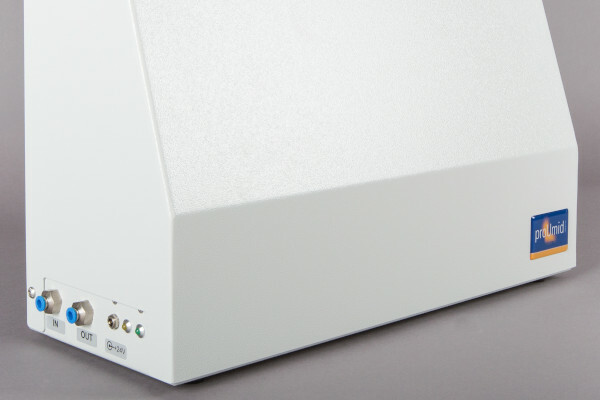 The models of the Vsorp series are are available with a balance resolution of 1µg, 10µg or 100µg. The same proven and reliable top loading balance technology as for the Vapor Sorption Analyzer SPS is used that satisfies the high demands to reproducibility, stability and drift compensation. Sample carousels are selected according to the sample size and number of samples. Changing from one carousel to another between two measurements is done within seconds. 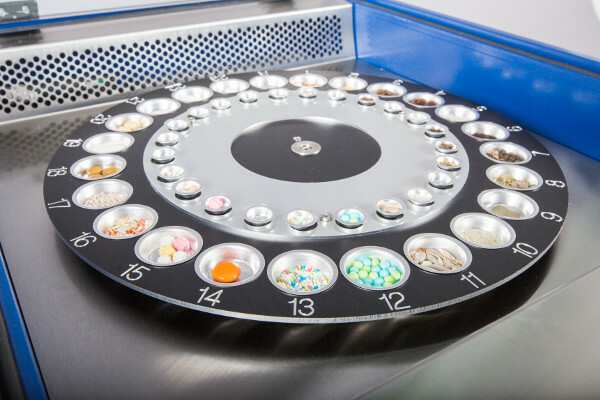 With the available carousels, all kind of sample sizes from a few milligram of fine powder up to large and heavy samples like product packages and even concrete can be handled. Combining our longstanding experience in the construction of measurement devices with state-of-the-art manufacturing, the Vsorp stands for for high reliability, minimized maintenance and low operating cost. Large and plain inner surfaces facilitate cleaning of the instrument. Except for refilling and cleaning of the water supply tank from time to time, the Vsorp is almost maintenance free. Calibration of the balance is done by an automated internal calibration routine. For humidity validation, ProUmid offers a certified reference material that enables the execution of a validation routine in parallel to a running measurement. The Vsorp is delivered readily assembled. Following a step-by-step procedure, users are able to set up and to operate the instrument without external support. Installation service and user training by ProUmid personnel is optional. 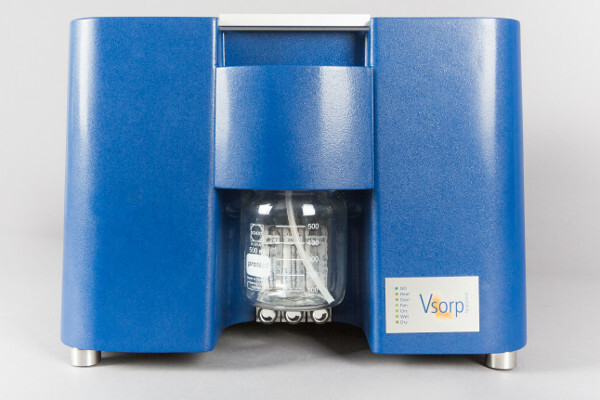 In order to cover a multitude of applications and to provide an instrument that fits the users needs best, the moisture sorption analyser Vsorp is available in three different models: Vsorp Basic, Vsorp Plus and Vsorp Enhanced. 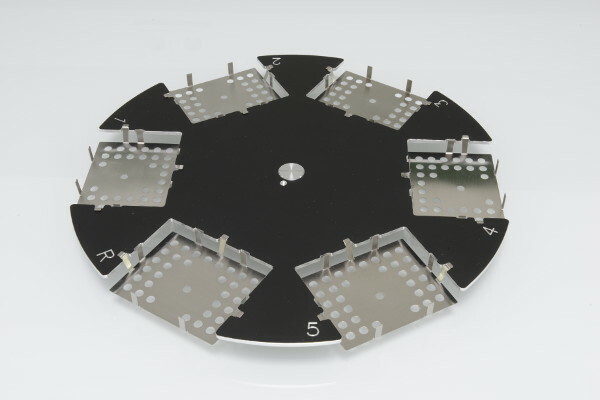 Each model covers a different range of applications concerning balance resolution, sample size and number of samples. Please see the Technical Specifications to select the Vsorp model that fits best to your application. *Note: Maximum humidity is reached at chamber temperature slightly above room temperature only. **Note: Root Mean Square (RMS). The given values require an environment suitable for micro or ultramicro balances. 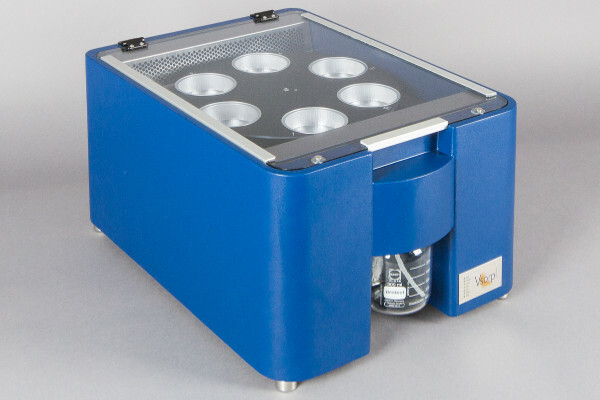 The optional Permeability Kit extends the measurement capabilities of the Vsorp by the water vapor permeability analysis of foils and films. Sorption analysis of large objects such as packages, blisters, concrete or insulation material. For the supply of up to two Vsorp instruments with sufficiently dry air. 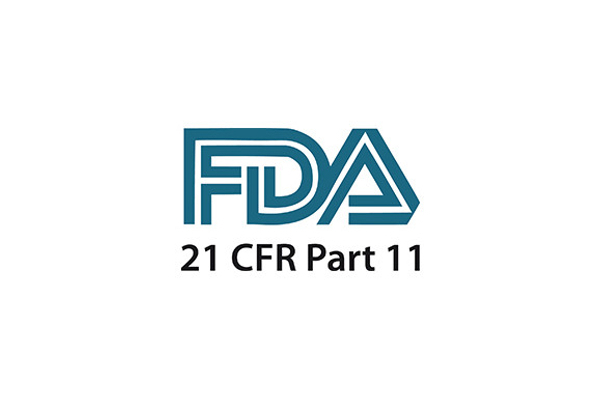 Software package compliant to the requirements of the 21 CFR Part11 for electronic records.